Since 2013, the cryptocurrency market has seen periodic bouts of excitement about the potential launch of bitcoin exchange-traded funds (ETFs) in the US, followed by disappointment. No bitcoin ETFs have yet come to market, with the US authorities holding off on regulatory approval. But ETFs are access tools. And since anyone can buy and custody their own cryptoassets, why do we need ETFs for bitcoin? Paul Amery, founding editor of New Money Review, asked Teddy Fusaro, COO of Bitwise Asset Management, one of the firms competing to launch the first bitcoin ETF, to explain. New Money Review: Teddy, what kind of funds does Bitwise operate? Fusaro: We are a venture capital-backed start-up based in San Francisco, with fifteen employees. Our primary business is managing privately offered Regulation ‘D’ funds for accredited investors. These are ‘market access’ products—long-only, plain vanilla index funds. At the same time we’re aiming to become the first, or one of the first sponsors and managers of a bitcoin ETF. Firms have been trying to get approval from the US Securities and Exchange Commission (SEC) for a bitcoin ETF for over five years, since the first attempt by Winklevoss twins in May 2013. Several other prospective issuers have picked up the mantle since then, but all those applications have been either disapproved, or withdrawn because the applicants knew they would be disapproved. New Money Review: What makes you think you can succeed where others have failed? Fusaro: The SEC has been quite clear about the things that need to happen for them to grant approval. And the general consensus is that some day a bitcoin ETF will be approved. Our approach has been to look at the mass of documentation surrounding bitcoin ETFs that has been created over the last half-decade and to see if we can answer, on a point-by-point basis, the outstanding questions raised by the regulator. In March we made a 226-slide presentation to the SEC staff which forms the start of our attempt to answer those questions. I think that makes us a little bit different from the other firms filing for bitcoin ETFs: we have a nerdy appreciation for the way the SEC has handled things. They have investor protection at the heart of their thinking and we’re attempting to engage with that. 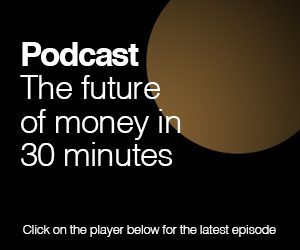 New Money Review: What are the next steps in the process? Fusaro: In the US, when an applicant wants to list a new kind of ETF under the 1934 Securities Exchange Act, the listing exchange needs to file an application with the SEC, called a 19b-4 submission. The 19b-4 submission creates a statutory timeline: effectively, it’s a game clock that switches off after 240 days. Within that overall 240-day period, there are separate windows—45 days, another 45 days, 90 days and 60 days—for the SEC to publish its decision or extend its notice period. We (Bitwise, together with our proposed listing exchange, NYSE Arca) are in the second 45-day period. If the SEC takes the full 240-day period to make a decision, that would take us to mid-October 2019. A competing application by VanEck/SolidX for a bitcoin ETF to be listed on the Chicago Board Options Exchange has a similar deadline. However, depending on an applicant’s appetite for continued dialogue and engagement, there are ways for bitcoin ETF applications to be withdrawn, changed and resubmitted. This has the effect of drawing out the process further. New Money Review: In your recent presentation to the SEC, you mentioned the past success of single-asset ETFs like the SPDR Gold Trust (GLD), launched in 2004. GLD was the fastest-growing new ETF of all time. It’s easy to see why gold and oil ETFs were a success—they enabled access to asset classes that were otherwise difficult for individuals to own. But is the same true for bitcoin? 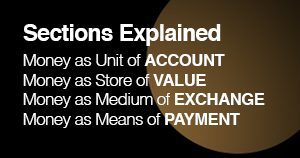 Anyone can open an exchange account, set up a bitcoin wallet and there are no obstacles to buying in small or large size. Fusaro: People savvy and well-educated enough to set up trading accounts with online exchanges and to custody their own bitcoin may wish to do that. But the reality is that advisors and other intermediaries who are used to managing assets within the traditional financial system shouldn’t be blocked from having an opportunity to gain exposure to this emerging asset class. Especially if it’s with the type of investor protections and disclosures that go with an ETF. There’s a risk to investors who don’t understand how best to buy bitcoin, store it, account for it, handle taxes, and so on. How do you begin to research the difference between a real and fake exchange, work out the best storage options, and so on? New Money Review: But won’t prospective investors be paying a lot to access bitcoin through an ETF? Judging by the bitcoin trackers already listed in Europe, this could cost 2-2.5 percent a year. That’s a dramatically higher cost than other single commodity ETFs, let alone the near-zero fees on some equity ETFs. Fusaro: We’re acutely aware of the price compression that’s occurred across the ETF industry in general. However, the reality is that the cost structure to access bitcoin across a variety of platforms and using a third-party custodial solution remains quite high. Over time, we expect those costs to come down as adoption increases and those solutions become mainstream. But those costs are also there if you try to buy bitcoin yourself, arrange your own custody and do your own accounting. New Money Review: What proportion of the total cost of the ETF is likely to be made up by the custody fee? Fusaro: We haven’t yet disclosed our planned ETF’s cost structure. But in our privately managed index funds we charge 1.5-2.5 percent a year a year in total expenses. The custody cost alone accounts for between 0.5-1.5 percent a year. I expect our ETF custody charge to come in below that, as custodians are likely to want to compete to provide services to the ETF. And the cost of custody in general is compressing over time. New Money Review: In your SEC presentation you called bitcoin ‘a globally fungible instrument’. But the evidence suggests that some bitcoins carry taint from previous owners and may be less valuable than others. On what basis do you argue for global fungibility? Fusaro: We don’t deny that there is this dynamic in the marketplace. The most important consideration for entities involved in the bitcoin market is what anti-money-laundering (AML) rules you have to comply with in your jurisdiction, how you interpret those and what your policy is. Some people in the US would say that this is a non-issue. If you have a concern with the provenance of the coins you have accepted, you file a Suspicious Activity Report (SAR) with the regulator and then move on. But there are still no broad, consensus-based standards on how to handle each specific situation. It’s a matter of interpretation of the regulatory framework. And different rules apply to different entities—in the US, many cryptocurrency exchanges are regulated as Money Services Businesses (MSBs), broker-dealers are regulated by FINRA, and asset managers and investment advisers have their own separate rules. But while acknowledging the existence of taint, we don’t think it’s a large or a long-term issue relative to the overall market for bitcoin.